Coming up at the Greenhouse!! Spring is here and our seedlings are growing in the sunshine! We will be closing our public atrium lounge and kitchen, as we do every April with the end of the school semester, to make way for our Verte-ta-Ville seedling growing program. Also, as with every spring, we are shifting our focus to our City Farm School program – an in-ground pesticide-free farm on the Loyola Campus! We will be out there all summer growing veggies, flowers, fruits trees, herbs, medicinal plants and even working with bee hives!! We even have a market stand right on campus selling our delicious produce. But don`t worry, if you want to get involved, we`ll be offering volunteers sessions weekly in the greenhouse, as well as twice weekly on the City Farm! In the meantime, check out these awesome upcoming events! Join our creative host Kirya for an amazing early spri ng creative community gathering! Bring your craft to come work on in the sunny, plant filled greenhouse! Knitting, sewing, sketching, paper crafts – whatever! 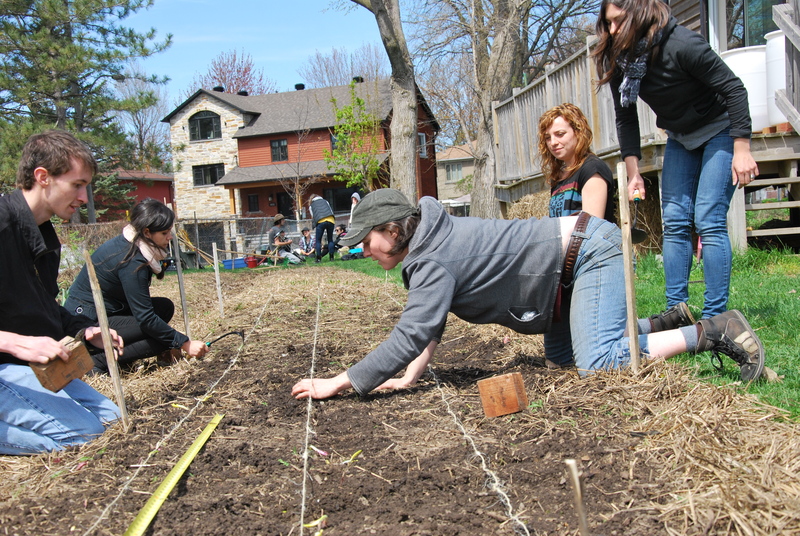 We are pleased to offer an informative and interactive Do-It-Yourself workshop series, exploring various hot topics in the urban agriculture scene. Check out what`s happening this month below! All the workshops will be free to attend, but materials costs will be listed when necessary. The Greenhouse Collective is pleased to offer an evening devoted to the dirt on soil. We will introduce the preliminary concepts of soil structure, management and preparation methods along with lots of tips and tricks to get your garden off to a great start. Have you ever wanted to build your own window farm? Don`t know what that is? Google it and come to our amazing hands on workshop! Grow your own in any space! All materials provided! $10-$20 Pay-what-you-can. End of School Potluck in the Greenhouse! School is ending for Spring and we are closing the year with a community vegetarian potluck! Come enjoy the sunset with us as we dine amongst the plants! Please bring your dishes prepared and arrive before 6:30. Invite a friend to show the greenhouse before it`s closed until Autumn! May 15th & 16th – 10am – 7pm – or until supplies last! The annual Vert-ta-Ville spring seedling sale is coming up fast! 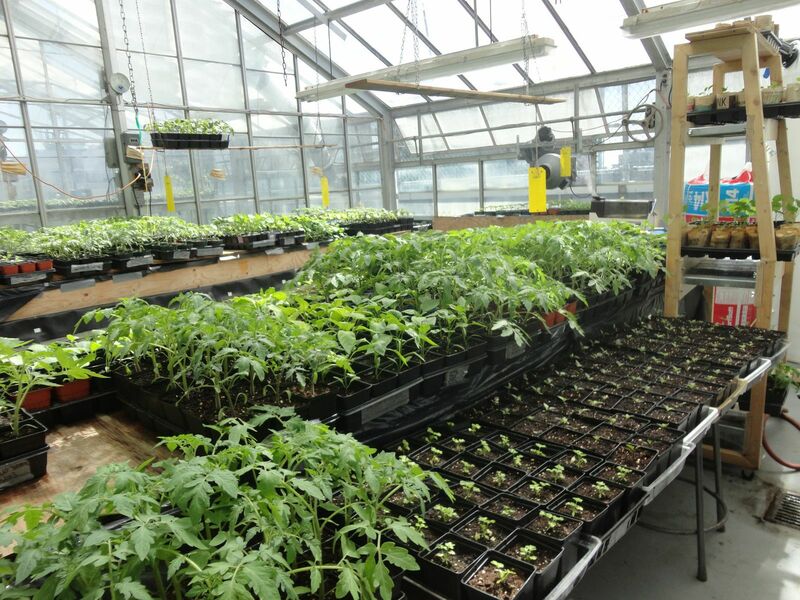 We will have over 100 varieties of heirloom veggie, herb and flower seedlings, all those produced naturally and locally in the Concordia Greenhouse by our City Farm School Interns! And this year we’ve add a number of new “container” varieties for all you balcony gardeners out there. All flowers, veggies and herb seedlings will be priced at $3. A complete list of available varieties will be posted shortly! Previous PostThank you for Voting NO to per-faculty fee-levy opt-outs!Next PostComing up at the Greenhouse!